Sitting at a desk all day can sometimes be boring and even a little tiring so it’s not unusual to turn to food as a boredom buster. If you’re heading to the vending machine at 3pm everyday or indulging in sugary foods to keep yourself awake you won’t be helping the situation! To keep your energy levels up and increase your focus you should be snacking on foods rich in nutrients. This will give you sustained energy levels throughout the whole day rather than a spike in energy followed by the sluggish, tired feeling you get from junk food. The easiest way to avoid snacking on unhealthy food is to plan ahead. At the start of each day pack some healthy snacks for work. If you’re not sure what food you should be snacking on during the day see my list of healthier snacks below. Dates are wonderful for promoting good bowel health, as they are full of fibre. They’re also fairly sweet, so reach for these if your contemplating opening a bag of lollies. 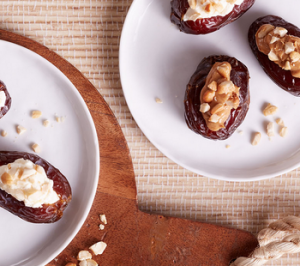 If you’re wanting a little more, cut the dates open and fill them with a mix of nuts and seeds. Nuts and seeds are an excellent source of protein and will help keep your blood sugar levels balanced to reduce sugar cravings. Protein balls are perfect for curbing those hunger cravings and providing sustained energy levels. These dessert like snacks are the perfect, guilt free substitute to a chocolate bar. They’re also super easy to make! We recommend whipping up a batch on the weekend that will last you Monday to Friday. 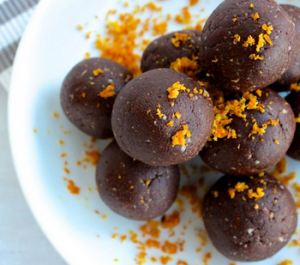 Click here to view one of our favourite protein ball recipes. If there’s one thing you can never eat too much of it’s your veggies! They’re packed full of fibre and nutrients to keep you alert and engaged while at work. 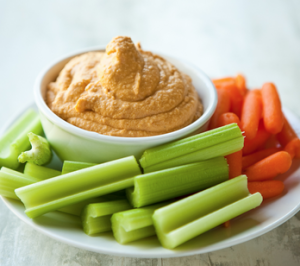 Pick your favourite crunchy vegetable (carrot, celery, capsicum, zucchini or broccoli) and dip it in some hummus for a super healthy snack. Hummus contains high levels of vitamin B to provide you with energy, protein and fibre. You can buy healthy versions of hummus from most supermarkets or you can easily make your own at home with this simple recipe. Protein is a great hunger buster! If you’re someone who likes to walk around the office in the afternoon (usually to the vending machine), then getting up to mix a protein shake is a much healthier alternative. Leave some milk at work and bring a scoop of protein power in an airtight container along with your shaker. Protein is available in different flavours so do a bit of trial and error until you find one that works for you. 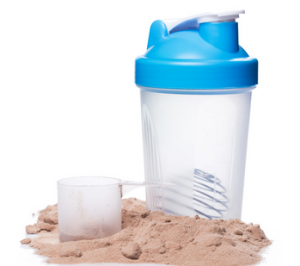 Remember, not all protein powders are created equal so check the sugar content on the packaging before you buy or ask me for advice regarding supplements and powders. 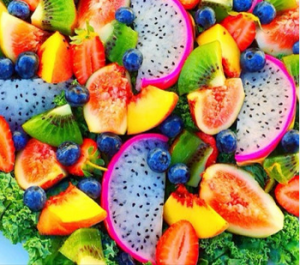 They say fruit is natures candy so rather than snacking on artificial lollies packed with empty calories, grab a banana or apple instead. Bananas actually have the ability to improve your mood. They have high levels of tryptophan, which is converted into serotonin otherwise known as the happy-mood brain neurotransmitter. So if you’re starting to feel the 3pm slump grab a banana and pep up. Apples are another fruit that are ideal for snaking on at work, as they can be stored easily. They’re packed with antioxidants and are a great fibre boost when eaten with the skin on. For extra protein cut your apple into wedges and dip into peanut or almond butter. Keen to tidy up your nutrition? Book a free consult with me to discuss your current situation and how my personal training program can help to put you on a newfound health path!